Presenting and integrating the works of the film environment of West Pomerania is an important element of the dokumentART festival. Next to retrospectives included in the “Faces of Westpomeranian cinema” and a review of Westpomeranian shorts, this year we will have a chance to see the premiere screening of “Sploty jednego warkocza” (“Strands of one plait”) a documentary directed by Paweł Kulik, financed by the “Pomerania Film” Film Fund of West Pomerania and Gmina Międzyzdroje. 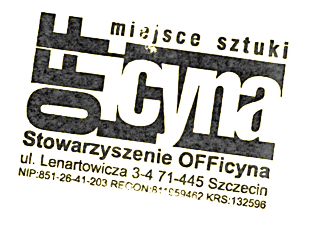 The film was made by the “Edukacja, Nauka, Kultura” Association (SENK) from Szczecin, in co-operation with the Q-Vision Michał Kulik documentary films producer. The documentary tells the complicated story of Britta Wuttke – doctor, writer, honorary citizen of Międzyzdroje. What we now know as Międzyzdroje is the pre-war Misdroy sea resort, which completely changed its state and national identity after the war. Britta Wuttke grew up in one of the few German families which managed to avoid expulsion. Through her life we can see a difficult fragment of post-war Polish-German social and individual reality.